The name of this rose is ‘Blessing’. How appropriate. 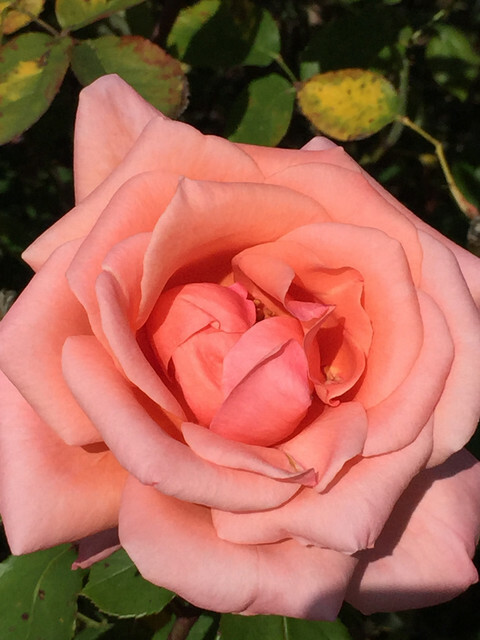 This entry was posted in About Me, City Gardening, England, Flower, Happiness File, Memories, New Flower, Photography and tagged Blessing, daughter's birthday, England, London, memories, new flower, Nov. 4, photography, Queen Mary's Garden, rose by Mama Cormier. Bookmark the permalink. What a stunning photo Carol!! Wow!! 💐❤️ Truly a blessing! The flower and the birth of my daughter. Thanks Jill. Thanks Jill. It’s funny the things that we remember from those special days of our lives. The lone rose in my garden on Nov. 4, 1979 has stayed with me all these years.